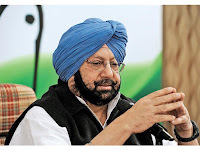 In a surprise development, senior Congress leader from Punjab, Captain Amarinder Singh, who also happens to be deputy leader of the Congress' parliamentary party, has been denied permission to address Punjabi diaspora in two Canadian cities -- Toronto and Vancouver. Singh says he was informed about this by India's foreign secretary Dr S Jaishankar. Calling it a “gag order”, Singh has said in his letter to Canadian Prime Minister Justin Trudeau, "Your government has invoked the provisions of some Global Affairs Canada (GAC) policy that forbids foreign governments to conduct election campaigns in Canada or establish foreign political parties and movements in Canada". Ahead of the denial to allow him the interaction, the Sikhs for Justice (SFJ) reportedly tried to block Singh. A Toronto-based law firm, on behalf of the SFJ, sent a memorandum to foreign minister Stephane Dion, claiming Singh’s visit would "violate" a 2011 circular which did not allow foreign governments to conduct election campaigns in Canada or establish foreign political parties or movements in Canada. "I was scheduled to interact with the Punjabi diaspora living in the two cities”, Singh says, adding, "Needless to say, it has come as a disappointment that someone representing the largest democracy in the world has been refused to reach out to, and interact with, his fellow Punjabis living in a respected democracy like Canada." Saying that the "gag order” has left “a very bad taste, more so when issued by a democratic government like the Canadian", Singh says it is "surprising and ironical” that the refusal to allow him public interaction has come barely after few weeks of Trudeau's personal regret over the Komagata Maru tragedy (click HERE to read). Claiming he had “no intention” to carry election campaign, “as there are no elections right now in Punjab”, Singh says, he does not have "any plans to set up any political party or movement in Canada". Insisting that India "has already given" all such freedoms in letter and spirit”, and "we really don't need to carry out any such activities anywhere outside", Singh says, "Our country extends such freedoms to others as well and we don't restrict it to our citizens alone as we believe that the freedom of expression is a universal right and should be respected by, and guaranteed to, one and all." Pointing out that he had planned to visit Canada to "interact with fellow Punjabis at personal level to learn about their experiences and seek their opinions", Singh says, "They, being the citizens of Canada, do not have any voting rights in India." "Hence", he adds, "there is no point in carrying out election campaign amongst them, and that too when there are no elections scheduled in Punjab right now or in immediate future." The letter reminds the Canadian Prime Minister that he had visited Canada in 2005 when he was the Chief Minister of Punjab and "addressed gatherings at Vancouver and Toronto, which were attended by the local premiers also." He further reminds Trudeau that during the last one year, several political leaders, including Prime Minister Narendra Modi and some opposition leaders visited Canada and they addressed public functions and nobody objected, Singh says, "I am surprised as why I have been singed out for this honour of being denied a similar permission." Insisting that the Canadian constitution under Section 2 guarantees fundamental freedoms which also include, freedom of expression, freedom of peaceful assembly and freedom of association, Singh tells Trudeau that the Canadian government's "gag order undermines these fundamental freedoms".